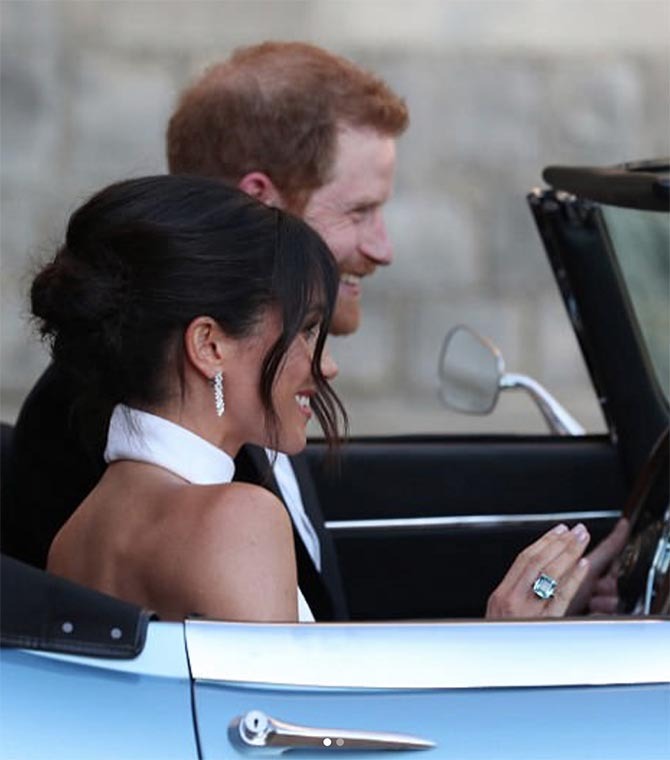 With a quick wave of the hand Meghan Markle, the newly christened Duchess of Sussex, lit up the internet on Saturday as cameras captured the new ring on her finger while she drove off with Prince Harry to an evening reception after the royal wedding. It was just a matter of minutes before the Twittersphere, specifically royal watcher @saadsalman719, identified the ring as one that belonged to Harry’s late mother Princess Diana. 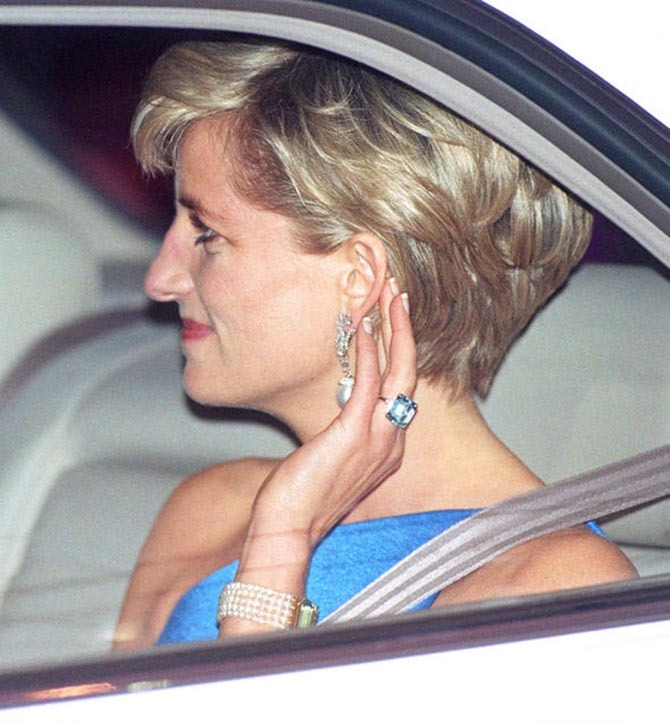 Shortly thereafter Asprey, the jeweler responsible for the design, confirmed the piece was a special commission they created for Diana in the late 1990s. It didn’t take long for seemingly every media outlet on the planet, including this one, to pick up on the story of the romantic gift. After the initial flurry of activity, I decided to take a deeper dive on the specifics of the jewel. Diana ordered the ring from the English jeweler right around the time she separated from Prince Charles in August, 1996. You could read into that fact in any number of ways. Diana lost access to the crown collection she wore so magnificently during her marriage and she probably wanted something new to bolster her own collection. I think, she also made the self-purchase for at least one of the same reasons we all buy something special. It could have simply been a pick-me-up or an amulet to mark an occasion, like a new beginning. The aquamarine in her ring is guesstimated by experts to be just over 30-carats. It is accented with diamonds and set in yellow gold. The sunshine metal is an unusual choice for aquamarines. Most are mounted in white metal to highlight the cool colors of the stone. It is believed Diana ordered the yellow because she wanted the piece to coordinate with her multi-strand pearl bracelet centering on an aquamarine mounted in yellow gold. Diana was famous for her love of blue. The color matched her eyes and she wore many blue gems over the years including her sapphire engagement ring. Her choice of an aquamarine most likely also carried some symbolism. While the discreet jewelers at Asprey won’t share any more specifics about Diana’s ring, the CEO for the United States, Robert O’Connell was happy to talk about aquamarines. The heyday for aquamarines in jewelry was the 1940s when there was an abundant supply of the gem. Since that period many jewelers have set aquamarines in cocktail rings, a fact that could be seen all over Instagram in the last couple of days. Few, however, have made as many jewels with the gem the way Asprey did in the 1990s. The jeweler’s work with aquas was probably one reason Diana gave Asprey the commission. 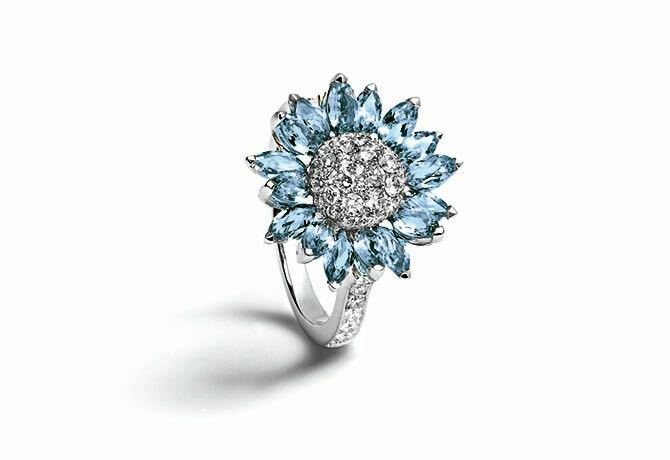 Aquamarines were one of the main stones in Asprey’s Daisy collection launched in the 1990s. The style became well-known to an international audience after the 1997 Oscars when Claire Danes color matched one of Asprey’s aquamarine Daisy necklaces with a skirt and t-shirt designed by Narciso Rodriguez for Cerutti. It was nineties minimalism at it’s very best. 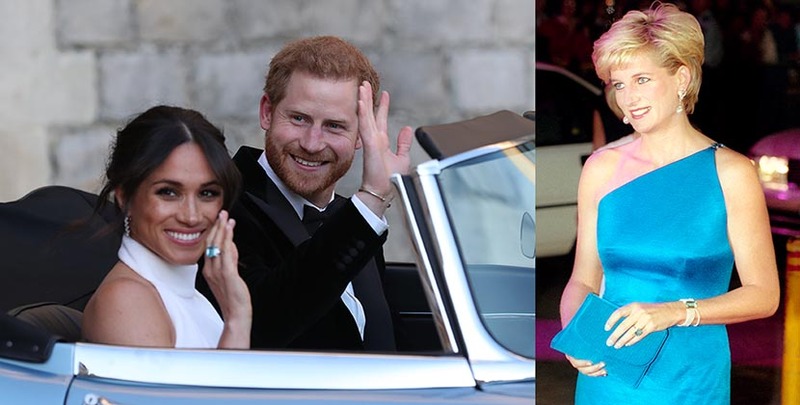 Indeed, the minimalist looks of Diana and Claire are reflected in Meghan Markle’s style. Asprey still carries aquamarine renditions of the Daisy collection as well as aquamarine cocktail rings. Robert O’Connell also shared with me, Asprey began working on a new collection that includes aquamarines around six months ago. I suspect when it debuts it will be another great success with the new-found appreciation of the dreamy gem. Did Harry Give Meghan One of Diana’s Rings?